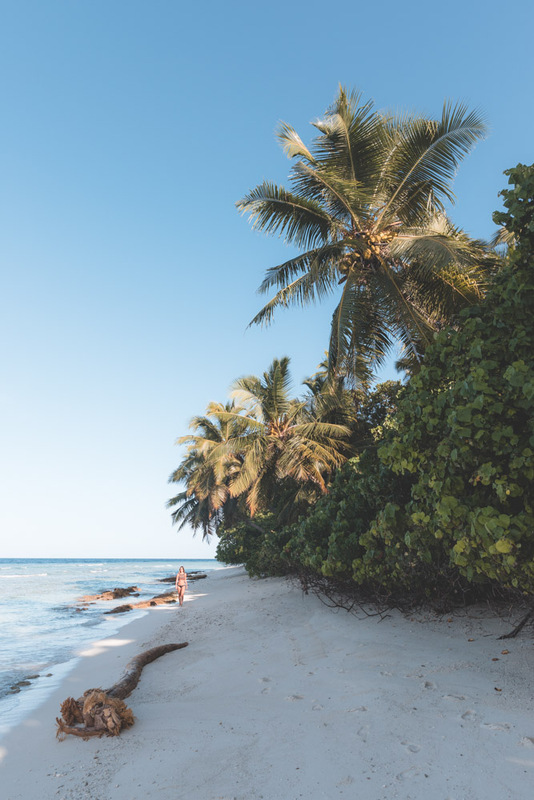 When the seaplane lands on the waters of a remote atoll, in an Equator-straddling island somewhere in the Indian Ocean, I am not able to anticipate the dramatic wilderness of the place. The navy-blue waters sometimes interrupted by shades of infinite turquoise are, perhaps, the most obvious appeal of the idyllic paradise where I am headed. But there is so much beyond that. Beneath the surface of this ridiculously alluring ocean, lies one of nature’s most extraordinary events – and this is what drives me to this part of the world in the first place. It’s a new moon weekend in late July 2017. The lunar tide pushes against the Indian Ocean’s Southwestern monsoon current. A suction effect pulls tropical krill and other plankton from deep water up to the surface. The current sweeps the krill into the cul-de-sac of a bay called Hanifaru – at the heart of Baa, a remote atoll in the Maldives. In just a few hours, a massive concentration of plankton builds up, a swarm so thick it turns the water cloudy. 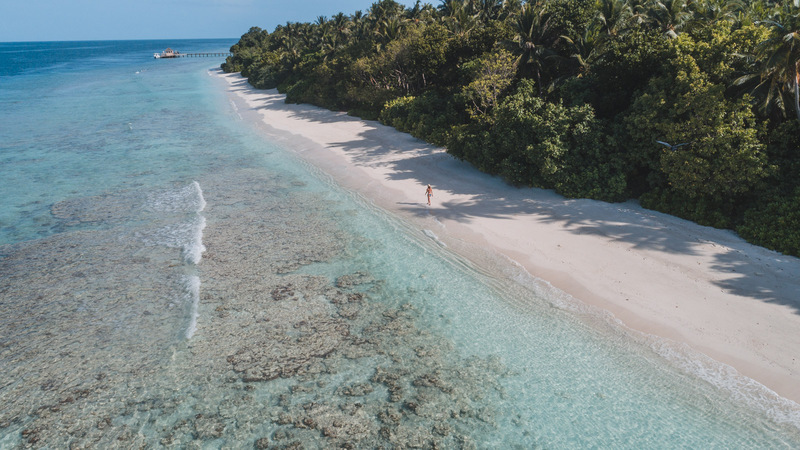 “It seems you are aware you are not allowed to scuba dive in Hanifaru Bay,” highlights Federica, the marine biologist guiding us across Baa Atoll. “If you want to dive you need to go elsewhere. Here you can only snorkel. Put your head in the water in a mask, and you’ll probably have the best snorkel of your life”. UNESCO declared Hanifaru Bay a World Biosphere Reserve in 2011 to minimise the human impact on the marine wildlife. Diving is therefore prohibited within the area. For species considered near threatened, this regulation could be a lifesaver. 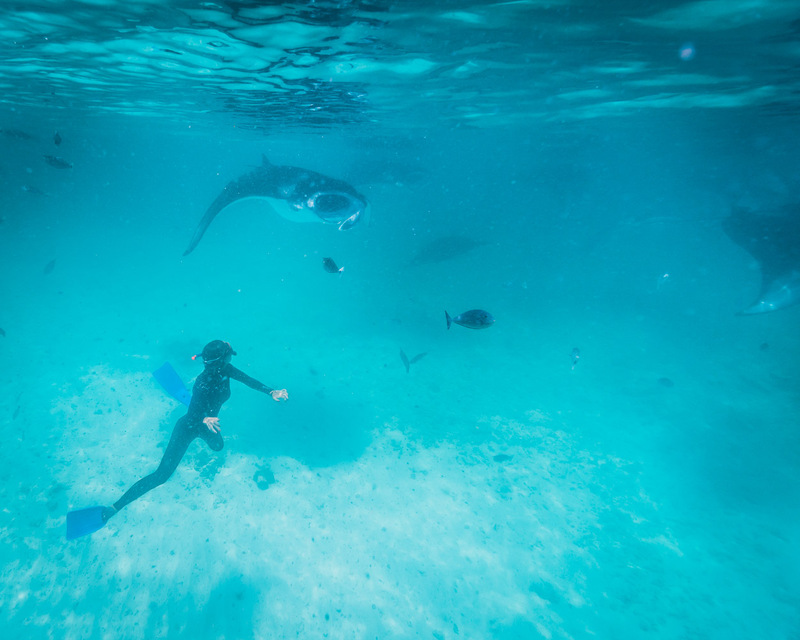 However, some species like mantas, have achieved the dubious status of dive-tourism attractions, luring humans to swim with them in closer-than-optimum quarters. This newfound popularity could also help them to survive. 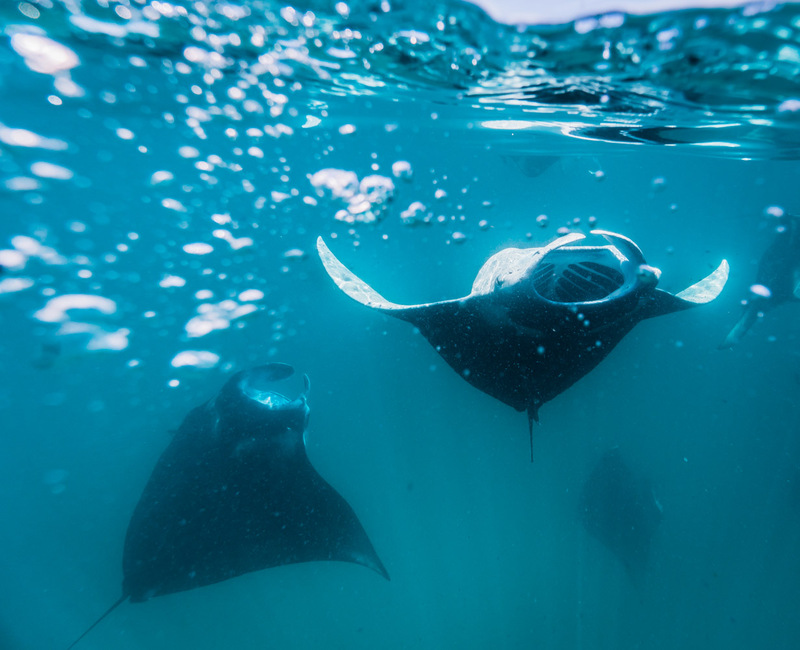 Mantas, with their slow reproductive rate, are vulnerable to overfishing, so a robust tourist trade could give local communities an economic incentive to conserve the fish rather than kill them. 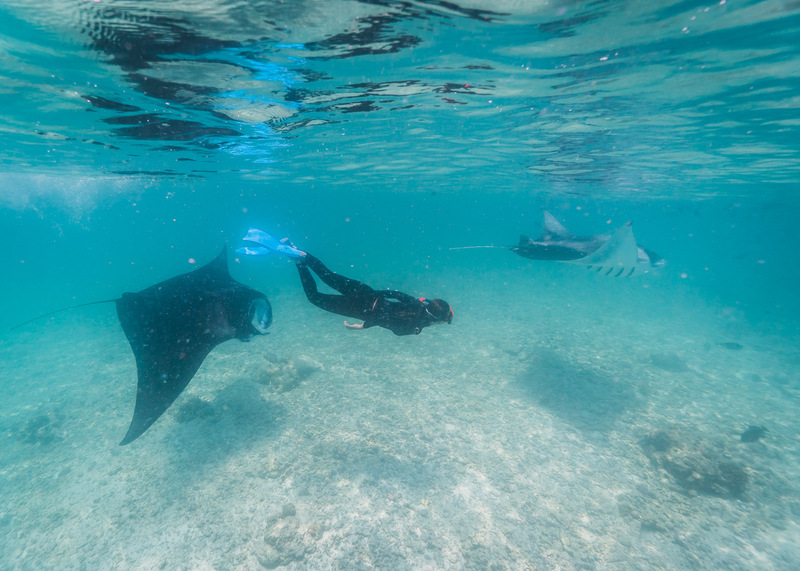 But it’s, of course, a delicate balance – too many humans could drive mantas out of feeding grounds like Hanifaru bay. During this time of the year, the ocean in Hanifaru Bay swirls with nutrients. Algae flourish. Fish gather, as do whale sharks and also an incredible number of Manta Rays. 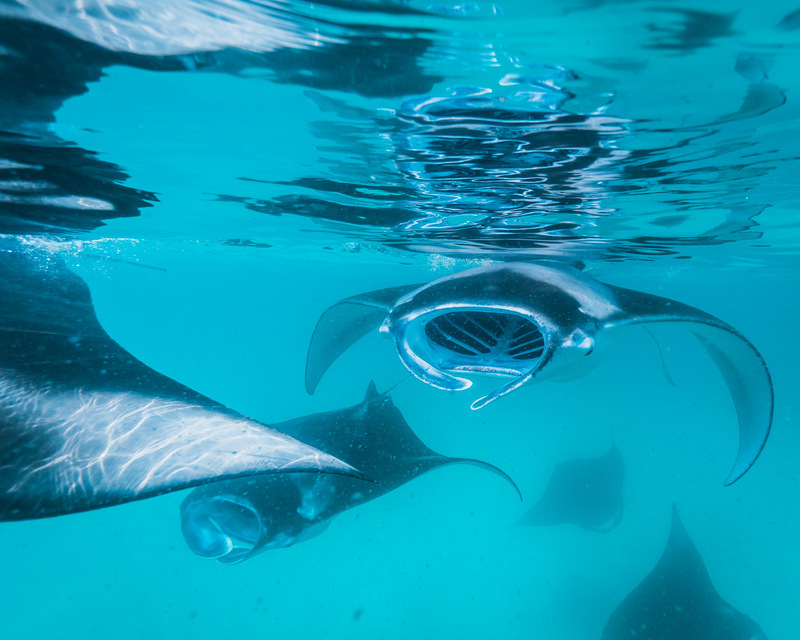 As many as 200 individual Mantas can be seen at the same time sweeping back and forth across the bay in dramatic feeding chains. The largest concentration of Mantas on earth. I follow Federica’s advice and go snorkeling. I swim alongside 30 Mantas at once. These massive fishes are dynamic filter feeders. They barrel roll when they hit a rich patch, somersaulting backward to stay in the hot spot. They chain feed, following each other in a train of open maws. Something extraordinary happens. I see mantas everywhere. I try to stay steel to not disturb the spectacle. They seem unperturbed with my presence. For a precious few moments, I hear only the sound of my heartbeat as I contemplate Manta Rays on a perfectly choreographed dance. 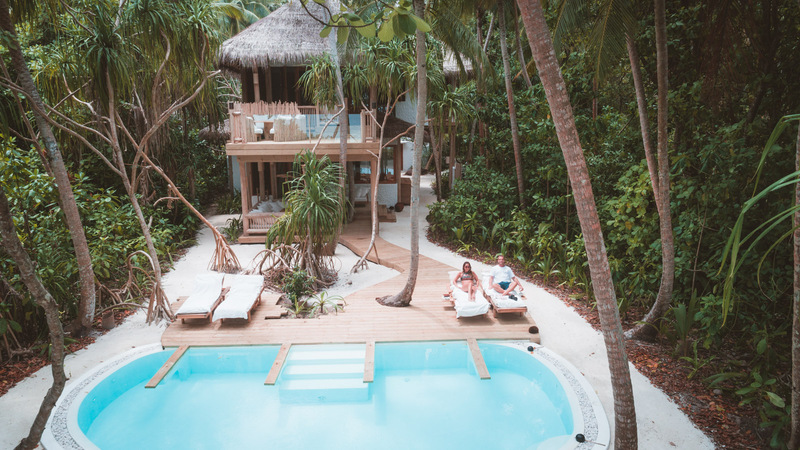 I’m staying at Soneva Fushi – my absolutely favorite resort – for the creativity, the sensitivity, and, above all, for the serious environmental and social commitment. 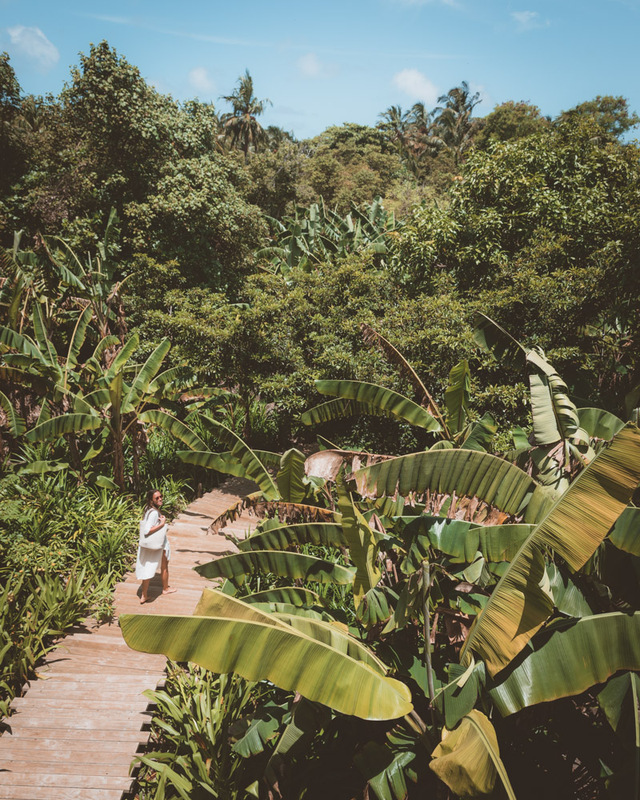 Here the simple pleasures win the day: spending days on end without shoes and cycling across a jungle that takes you to some of the world’s best beaches. 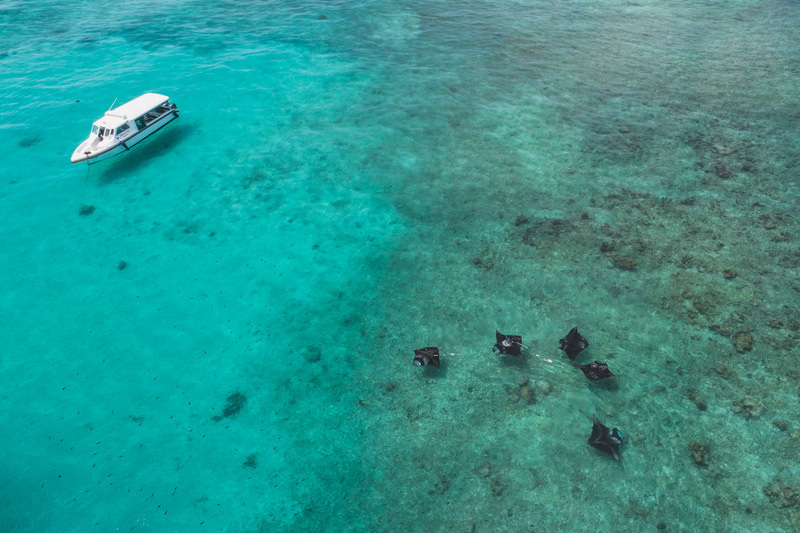 It has also an excellent dive center – which is run by Soleni – a local company with loads of experience and knowledge of Baa Atoll. As I watch the sunset after a remarkable snorkeling session, I think about the real appeal of the Maldives. The small islands of this archipelago are, perhaps, the most beautiful on earth. 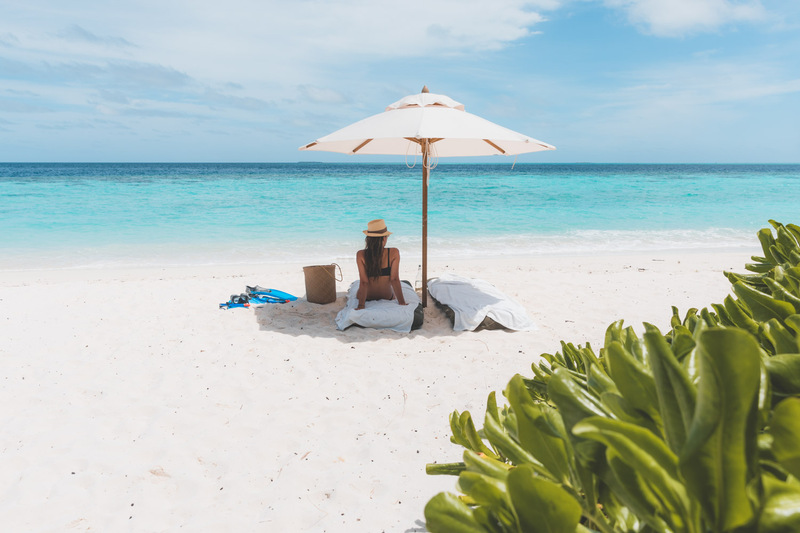 The white, soft beach at Soneva Fushi is sublime. But it’s only when I’m underwater I realize that luxury is a state of mind. 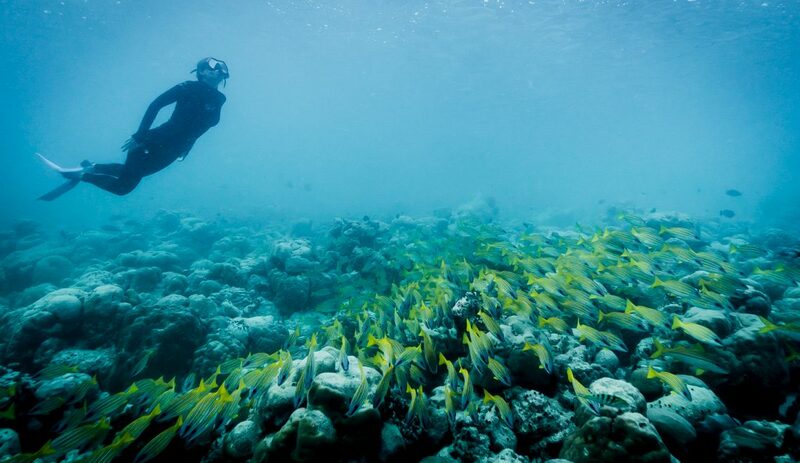 In Hanifaru Bay I have a glimpse of what it means to be fundamentally, joyously alive. We traveled to the Maldives from July 19th to July 24th, 2017 and flew from Singapore to Male with Singapore Airlines. We stayed at Soneva Jani in Noonu atoll and at Soneva Fushi at Baa atoll.